JPG is a common image format that is often interchangeably used with JPEG. Assuming that you must have come across it before, we will not go into its details. 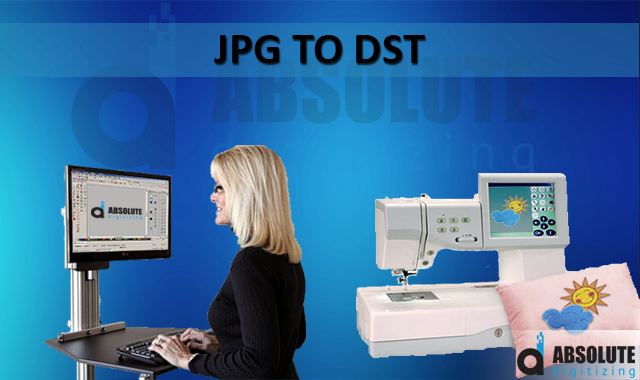 Instead, we will see how to convert JPG to DST format. Sounds simple and familiar? Conversion from one file format to another; must be an easy-peasy thing to do. That bad news is that the process is not as simple as you would presume it to be. But why? After all, it’s just a conversion from one format to another. Contrary to common intuition, all file conversions are not equal. The file formats that we frequently come across are widely adopted and that is why the conversion is mostly straightforward. This makes us believe that the same must be true in the case of JPG to DST, which doesn’t hold true here. Now, that we have told you that converting to DST from JPG is not a quick-fix, there is a need to have a look at the alternatives. If you are looking for alternatives, merely mentioning them will do no good and therefore, it will be dealt in detail. But before moving on to that, let us start from the basics. Let us see that what exactly a DST file is and why is there a need for JPG to DST conversion in the first place. What Exactly Is A DST Format? A DST file, in the context of machine embroidery, is a format that is readable by many embroidery machines across the world. It was introduced by Tajima, a leading embroidery machine manufacturer, a few years back. This should also explain why JPG to DST conversion becomes so important. Modern computerized embroidery machines are extremely efficient and smart. Majority operations are either entirely or semi-automated. As opposed to traditional hand embroidery where each stitch has to carefully crafted, the manual effort has almost vanished from the contemporary process. Instead, it is replaced by quicker, smarter and efficient computers. 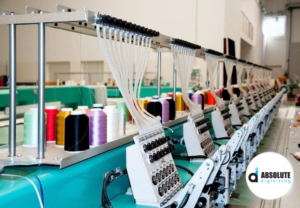 The question here is that how does a machine know where to put stitches in a specific pattern to embroider a particular design. There must be a controlling mechanism to keep things in check. Well, this is where DST formats come into play. Embroidery machines, on their own, cannot understand and depict a design from the image. In order to embroider a design, a design must be in DST or a similar machine native format. How JPG to DST Conversion Takes Place? If you had the perception of a typical ‘conversion’ in this case, that would have been busted by now.But the confusion still persists. Unlike a simplified conversion process, DST files have to prepared from scratch. What makes it even more difficult is that not everyone can do it. For files to be used for commercial and professional purposes, they must be prepared by a professional. The technique or the process is known an embroidery digitizing or embroidery punching. Here, a design is imported into an embroidery digitizing software form JPG or any other image format. The professional, known as embroidery digitizer, then manually places stitches, demarcates stitch path and defines various parameters in the software for a particular design. This is how a digitized format of a design is prepared. The prepared file is a digitized version of the JPG image. So, by now you must have assimilated that this conversion, not only requires a specialized computer program but also an experienced and skilled embroidery digitizer to execute the job professionally. This takes us to our next question. What options does one have for getting JPG to DST conversion? There are few good options available but each one of them is suited for a particular set of people. Since most people are after a free and a quick solution, let us go through that first. Honestly speaking, it is almost impossible to get a design digitized absolutely free. There are two basic costs involved; the cost of digitizing software and that of getting the services of an embroidery digitizer. Even if a software company allows you to download digitizing software for free (for trial), it still has to be operated by someone experienced. One possible ‘free’ solution is auto-digitizing. Many digitizing software come with this feature where one apparently doesn’t require the services of the digitizer. The software can convert an image from JPG to DST. Unfortunately, the results are generally pathetic and are deemed unsuitable to be used for commercial embroidery. Still, the costs of embroidery digitizing software are there which generally cost thousands of dollars. Even if you manage to find a free auto-digitizing software, there are little chances of getting an acceptable quality. The best option is to go with an embroidery digitizing service, depending upon how much you are willing to pay. The costs with this option are nothing for the quality that you are likely to get. It only costs few bucks to convert a JPG design into a digitized format. It is the most economical approach to getting best quality results during the conversion process. We are professional embroidery digitizing service who have been around for the past 15 years. We have an in-house team of seasoned and skilled embroidery digitizers, who make it possible for you to get JPG to DST conversion done quick and cheap. With our cheap embroidery digitizing service, now get JPG converted into DST for only $1/ 1000 stitches. Above all, all orders are quickly prepared and delivered with a maximum time span of 24 hours. Download our mobile app (iOS & Android) or get a quote here for the desired delivery time, ranging anywhere from 2 to 24 hours. Check another better JPG to DST Digitizing option too! Question: commercial businesses that use DST-type embroidery programs for stitching on to various fabrics or clothing, would it be necessary to give them a dst file of a logo or could their embroidery program do the converting from a jpg in order to prepare and perform the stitching? Well commercial embroidery businesses can convert an image / logo (jpg or any other format) to a .dst file with their embroidery digitizing software but they usually charge more for digitizing. If they accept digitized file in .dst format from you, you can get it done online from any embroidery digitizing service like us or any other at lot lesser price. For example, we can convert a left chest / cap logo to a dst file for a mere $10. Hope it helps. Thanks.